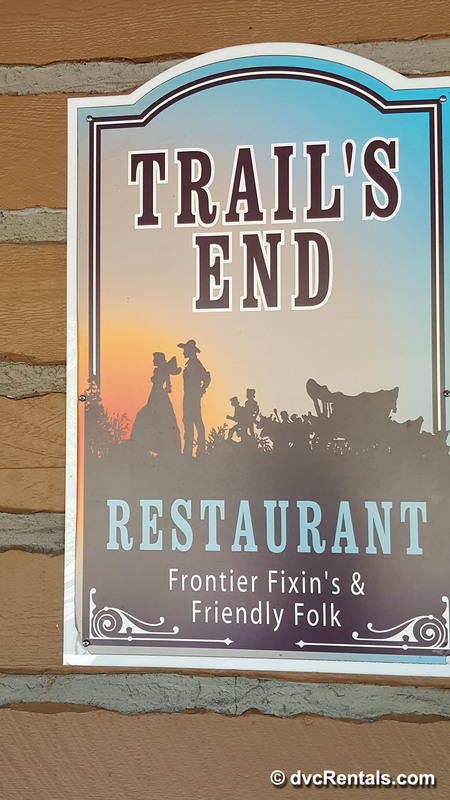 If you’re looking for good value, and great food with plenty of options, look no further than Trail’s End Restaurant at Disney’s Fort Wilderness Resort. The atmosphere is “down home” (but not old or shabby), and the servers and theming reflect that feeling. 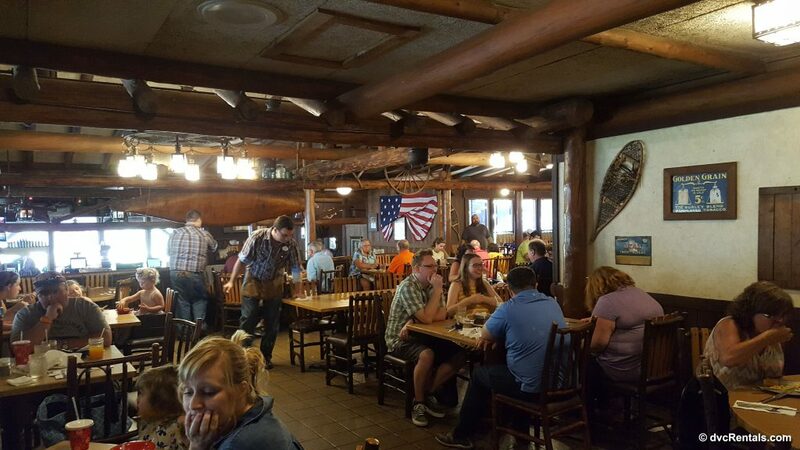 You’ll be welcomed at the podium with a “Howdy!” when you check in, and throughout your meal, the servers will talk using a lot of old west style jargon. 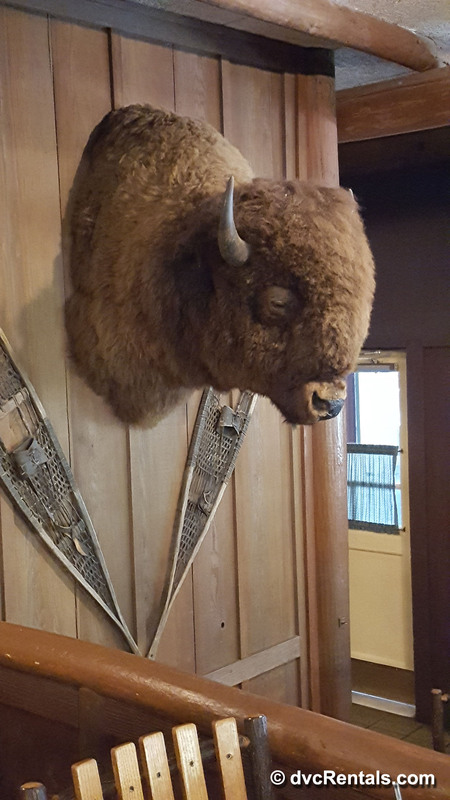 The restaurant itself is decorated with many reminders of that era, including beamed ceilings as well as stuffed animal heads, pictures of Native Americans, and copper pots and pans adorning the walls. Both breakfast and dinner are offered here, and while they are equally good, this blog will focus on dinner. I consider Trail’s End to be a “hidden gem”, most likely due to its location. Getting to Fort Wilderness, especially without a car, can be a bit of a challenge. 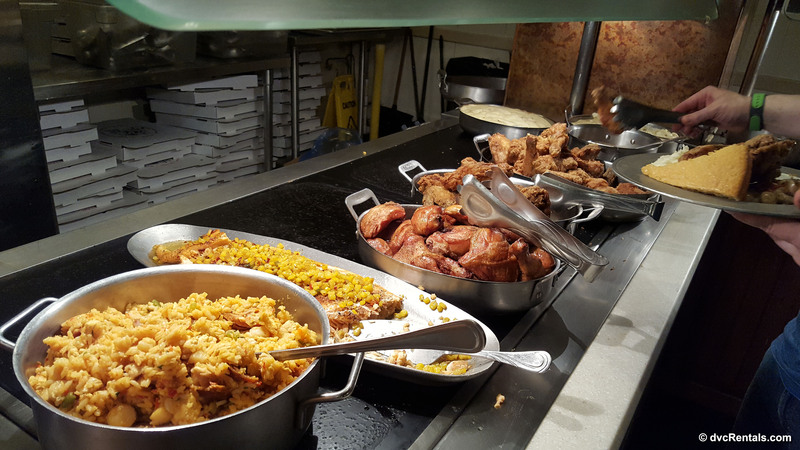 But it is SO worth the effort to experience the great food at one of the most reasonably priced eateries at Walt Disney World. So how does one get to Fort Wilderness/Trail’s End? If you are lucky enough to be staying at Wilderness Lodge, walk out to the boat dock. Be sure to follow the signs—one boat will take you to the Magic Kingdom, the other will take you to Fort Wilderness. Once on board, it is a very short boat ride, 5 minutes or so, and you will have arrived at “The Fort”. Exit the boat and follow the signs, the walk from the boat to Trail’s End is very, very short. For those not staying at Wilderness Lodge, but who do have a car with you, you can drive to The Fort and park. However, Fort Wilderness is very large, and the parking lot is quite a distance from the restaurant. So, you’ll have to take an internal bus to get to Trail’s End. It can take as much as 10-15 minutes to get to there once you are on the bus, so be sure to leave enough time to make your reservation. If you do not have a car and don’t want to pay for transportation, you’ll have to make your way to the Magic Kingdom. Depending on where you are staying, you can take a bus, ferry, or monorail to the Magic Kingdom. You do NOT have to actually enter the park. Look along the water opposite the entrance to the park, and you will find an area with a number of boat docks. Look for the signs that say “To Wilderness Lodge/Fort Wilderness” and enter that dock area. One side of the dock will take you to Wilderness Lodge; one side will take you to Fort Wilderness, so be sure to check, so you don’t end up in the wrong place. Occasionally there will be just one boat that goes to both destinations, so follow the signs or ask a cast member if you are unsure. Once you arrive at Fort Wilderness, (just like described above when arriving from Wilderness Lodge), the walk to Trail’s End is extremely short. One thing to keep in mind that if you opt for this route: If you have a VERY late dinner reservation returning via the Magic Kingdom route will not work if the park closed earlier than the restaurant the night you are visiting. It is a rarity, but it happens, so be sure to check when the Magic Kingdom closes the night you’re dining, so you’re not stranded or forced to pay to get back to your resort. It may be a bit of a hassle to get to, but it is so very worth the trip! As mentioned earlier the theming is terrific; you really feel the atmosphere of the old west. Looking around the restaurant, you’ll see plenty of reminders from that era. The staff dress in Blue Jeans and Plaid Shirts. They talk using phrases that remind you of pioneers. 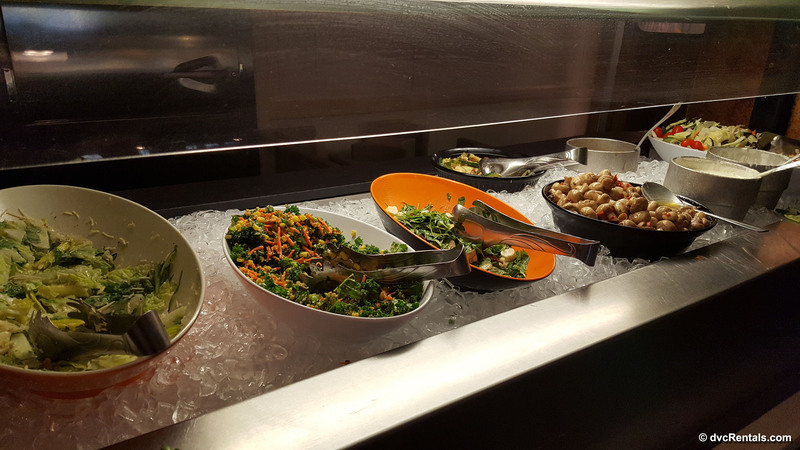 The plates and bowls you use at the buffet are made of silver-colored metal, reminiscent of the Chuck Wagon plates of long ago. You feel transported back to another place and time. 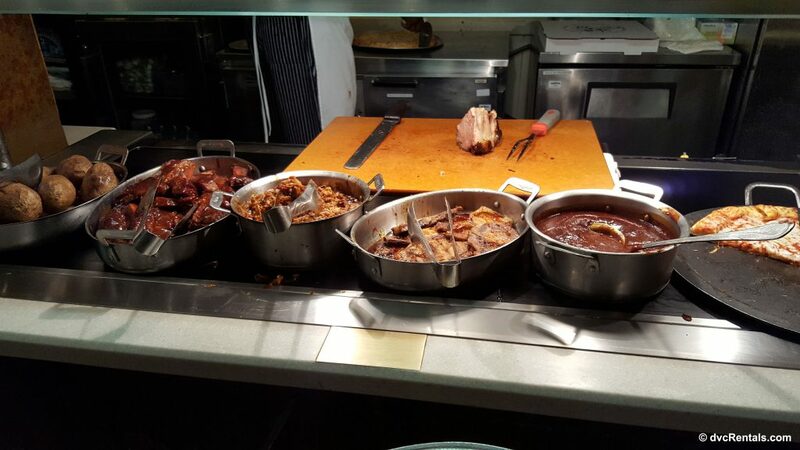 Trail’s End has an all you can eat buffet, and the choices are plentiful. Non-alcoholic beverages are included in the price of the meal. 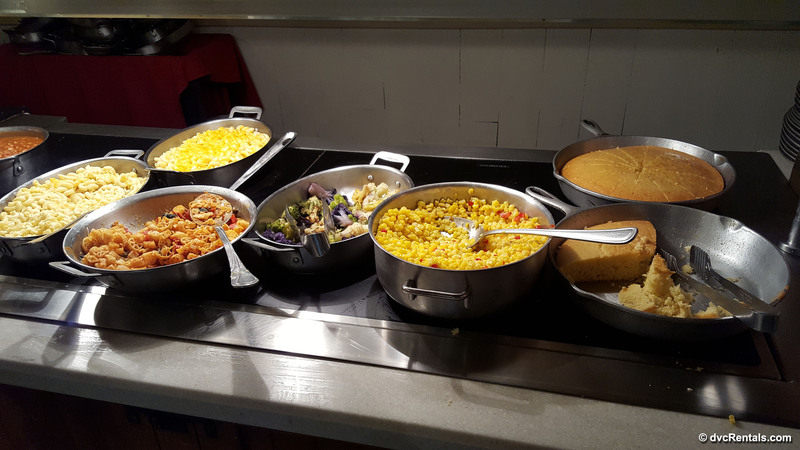 The food is subject to change but the night we went (4/18/18) the choices included Soup, A number of interesting Salads, Corn Bread, Rolls, Many veggies, Chili, Carved Pot Roast, Pork Chops, Mac and Cheese, Mashed and Baked Potatoes, Salmon, Pulled pork, Pasta, Pork Ribs, Peel and Eat Shrimp, Fried Chicken, Baked Chicken, Pizza, and more. I honestly can’t think of one thing I didn’t care for, it was all really tasty and fresh. 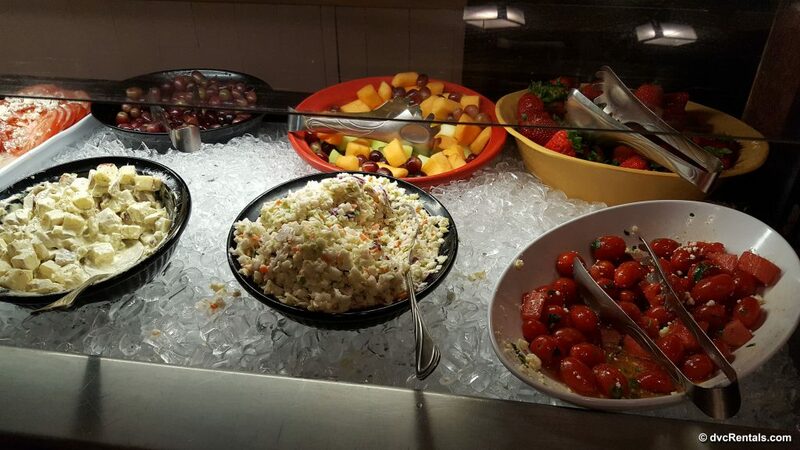 As hard as it is to stop eating all the great main course dishes, save room for the yummy desserts! 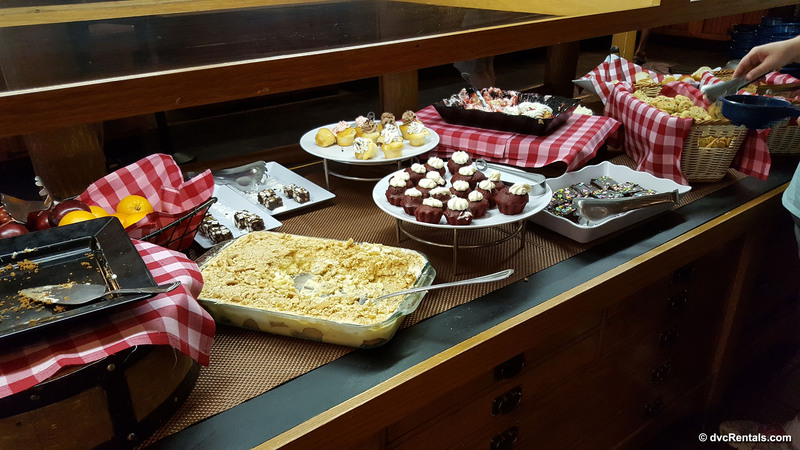 The desserts included: 2 kinds of Cookies, Brownies, a variety of cupcakes, Banana Pudding, Fruit, s’mores bars, Strawberry shortcake, Apple cobbler, Red Velvet cake, and more! All of it was really good and was plentiful, always being replaced as soon as something ran out. If you are a dessert lover I guarantee you’ll be happy you chose to eat here! Dress at Trail’s End is most certainly casual. 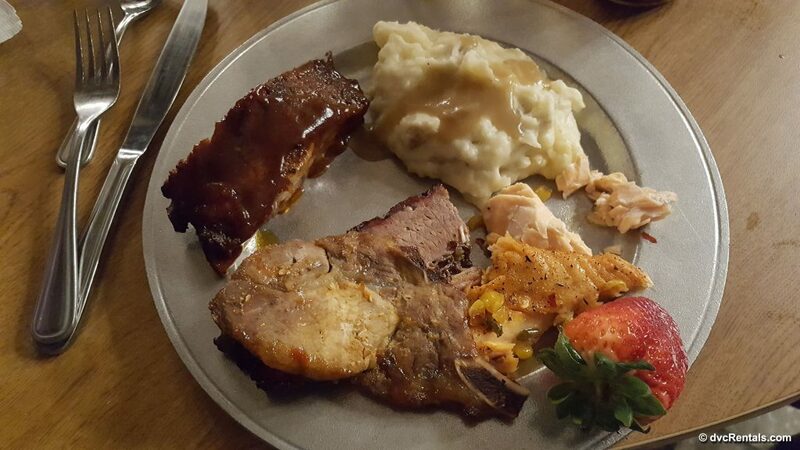 Dinner is served most nights from 4:30 until 10PM, but always check if you don’t have a reservation. Times can vary from day to day or season to season. The cost also varies depending on the time of year, but the range for adults is (including tax, but not gratuity) $27-$32, and for kids 3-9 the cost $16-$18. 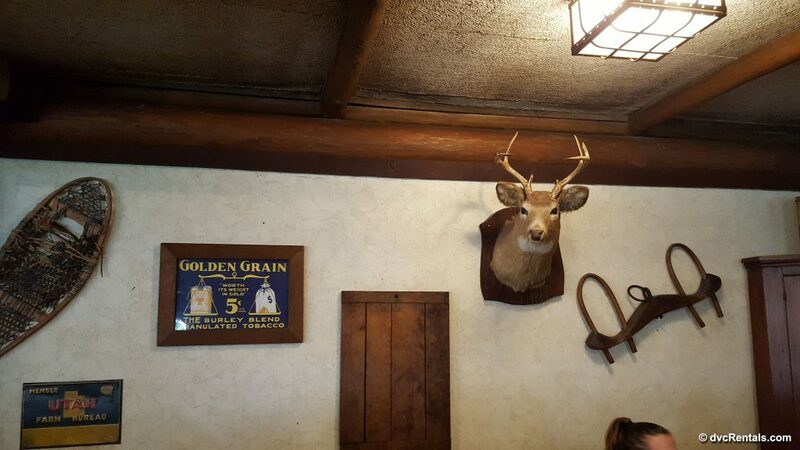 But no matter when you go, Trail’s End has the honor of being the least expensive Buffet at Walt Disney World! As for discounts, Annual Passholders, Disney Rewards Card holders and Disney Vacation Club Members are entitled to 10% off the price of their meal. Tables in Wonderland folks get 20% off, and if you are on the Disney Dining Plan, it is one table Service credit per person. Due to the fact that it is off the beaten path, it’s rare to find the restaurant packed, and it’s usually easy to get a reservation. If you time it right, there is a campfire singalong (with a fire to roast marshmallows) a short distance from Trail’s End (ask a Cast Member for directions if this interests you). Usually, Chip and Dale make an appearance as well, and there is no charge to listen to the music, which, naturally, is Disney Themed. Carriage rides are available at Fort Wilderness as well (for a fee), and they will meet you right outside the restaurant to take you for a jaunt through The Fort and its campgrounds. This is especially fun during Halloween and Christmas, as many of the folks who camp there decorate their campers for the holidays. Most of them are lit up at night, so that’s the best time to view these often quite elaborate displays. You can also walk around the Fort (or take an internal bus) to check out the area, that’s free! If you’ve never given Trail’s End a try I highly recommend doing so. Price-wise I think it is one of the best bargains for dinner at Walt Disney World, and the food and theming is really terrific. And it’s a bonus to check out Fort Wilderness, a place many guests have never been to. I hope you give it a try, and if you do have a rootin’ tootin’ good time “partner”!